In the field of Civil and Structural Engineering, Civil Engineering School of UPC-BarcelonaTech ranks 34th in the world and is the top Spanish university in 2018 edition of QS World University Rankings by Subject. 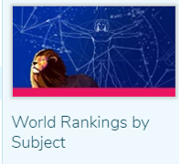 28 February 2018 is published 2018 edition of QS World University Rankings by Subject. In field of Civil and Structural Engineering, the Civil Engineering School of UPC-BarcleonaTech ranks 34th in the world, 8th in Europe and 1st in Spain, among 500 institutions classified in this field. QS World University Rankings by Subject are based on the analysis of more than 3.000 centers of higher education around the world and evaluate quality indicators like quantity and quality of research and reputation of an institution, not only that perceived by external academics from other institutions but also by the industry.